This is a good rule of thumb for media organizations in general, given that the entire point of a manifesto and a heinous act like mass murder is specifically designed to gain attention. By sharing these evil thoughts, media organizations effectively aid and abet the agenda of these fundamentally evil people. It’s important to share some context about the killer so as to give basic information about them, but breathlessly repeating their words is exactly what these mass murderers want, and the typical wall-to-wall TV media coverage that turns them into overnight celebrities is simply a bonus. The whole point of terrorism is to terrorize. The heinous act of murdering at least 49 Muslim worshipers is of secondary importance to the killer as live-streaming it. The video of the act—not the act—is the primary goal. You see this dynamic in the shooters’ last post on the extremist site 8chan, where he wrote “it’s time to stop shitposting and make a real life effort post.” What he means is that the act of mass murder is a kind of content the way 8chan and 4chan’s perpetual calls for mass murder are too. This murderer is counting on our support to spread his message. Which is why it is so important not to share this manifesto. It is layered with irony, and an immense amount of references to various far-right memes. It’s really hard to make sense of what is real and what is just for “lulz,” as demonstrated by this discussion between two folks very familiar with this broken online world. Gotta disagree with you on this one, Joe. This guy is the most Online person I've ever seen. While there may be irony in the manifesto, it's clear from even the trap he set that his media diet was extremely radicalized meme culture. It's not all one thing, but I don't think it's possible to say radicalization didn't have a role here. The sheer amount of meme architecture and in-depth knowledge that went into just the car ride to the mosque, let alone the links in the post to 8chan, is staggering. Experts in online white supremacist extremism have a hard time figuring out exactly what this mass murderer was being serious about in his manifesto, so it is clear that the manifesto is designed to do one thing and one thing only: radicalize more people to the killer's cause. By including an immense amount of references to the content that radicalized the killer, this murderer is hoping that people will Google parts of his manifesto and get “red-pilled”—a term used by these far-right white supremacists to describe how they became radicalized. Speaking of radicalization and Google, YouTube is one of the murderers' chief allies to accomplish his terrorist goals. That's where the killer is hoping their breadcrumbs will take unsuspecting news consumers, because YouTube's algorithm is set up to perpetuate this kind of extremism. 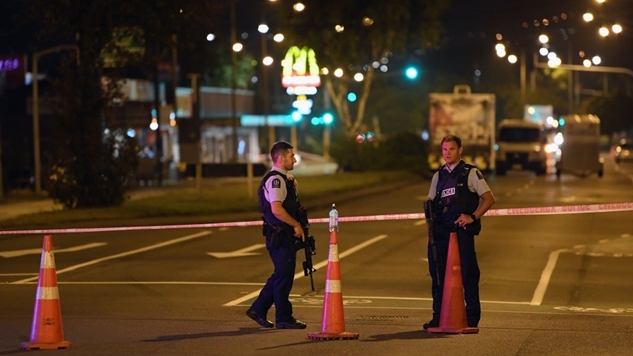 Mass murder in the way bin Laden and the New Zealand shooter planned it out is specifically designed to be used to accomplish larger ideological goals. That’s terrorism. Spreading the words of the mass murderer in the wake of a horrific event like this in New Zealand is quite literally aiding terrorism. Media outlets do need to provide some insight into the shooters’ internet-poisoned mind, but spreading his message is exactly what he wanted to get out of this heinous crime. Don’t do it. Journalists can describe this murderer’s ideology without amplifying their hatred—just go to YouTube and let Google’s algorithm send you down the same rabbit hole they have sent countless other extremists down, and soon enough you’ll get a really good sense of why the popularity of Nazi ideology is on the rise.